Turns out I’ve been lying to myself. I read this article and found it very interesting, thought it might be something for you. The article is called I’m Not Okay with Being a Motherless Mother and is located at http://modernloss.com/im-not-ok-with-being-a-motherless-mother/. 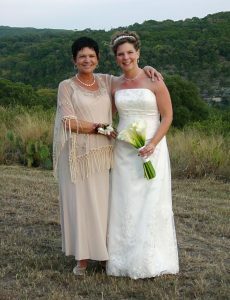 When my mother called eight years ago to tell me that the spots on her lung were cancer, I hung up the phone and told my husband that I knew she would die soon and that I was okay with that. I didn’t feel like I was saying something untrue, and my words had nothing to do with how much she meant to me. Even before living a life without my mother, I was aware of the depths of her love. It was a love that prompted her to tell my 5-year old self that when I grew up, I could be anything I wanted, and a love that made her stand on the sidelines at my middle school track on a cold and rainy November Sunday, cigarette in one hand and stopwatch in the other, timing a very anxious and slightly overweight me so we could be sure that I could run a mile in ten minutes and thus pass gym class. When I was 21, her love brought her to Houston on a plane ticket that she couldn’t afford so that I could cry and worry over new adulthood in person instead of during long distance phone calls. There is no substitute for such commitment, such selflessness, and when I said, “She will die soon, and I’m okay with that,” it was, in part, a way for me to put her in the center of all things, to shift the focus away from my thoughts about what life without her would look like. I will give her whatever she needs, I thought, because she is the one who is losing her life at 58—so young, too soon. Me? I’ve got all the time in the world. Six months passed between her diagnosis and her death. She did not “go gracefully” or “put up a fight”—those phrases that we so often attach to memorialize and categorize the dying. Mostly, she was in denial; sometimes she was angry. Had she agreed to more treatment, she might have lived longer, but she took a less aggressive path because she didn’t believe that this was happening to her, even though she’d been a two-pack a day smoker for 40 years. Two months before she died, she fell in her Phoenix home and ended up in ICU. My sister flew in from New York; my husband and I drove through the night from Austin. The cancer had metastasized, and now brain tumors were the new source of trouble. When we arrived at her bedside, she was ready for visitors and far from dead; she’d applied make up—though somewhat haphazardly, and was wearing mismatched dangly earrings. She was confused but pretended not to be, telling us that there’d been a huge mistake and she wasn’t dying. I listened and took notes and told her we’d get to the bottom of it all. When we were alone, my mother looked me up and down and asked, “Are you pregnant?” I laughed because I wasn’t, but I had wondered if she would ask; I was wearing a blousy shirt that could have been a disguise. “Not yet,” I told her. “Time doesn’t seem to be flying by,” I tell them. I am present for all of it—every smile, every fit, every sleepless night, every milestone, every phase, stage. I’m right here, I think. Time is doing exactly what it is supposed to do. Passing. The other day I thought about the words I said to my husband, about being okay with my mother dying soon. Then I thought about my boys and my ideas about the passing of time. And I realized that I was lying to myself. 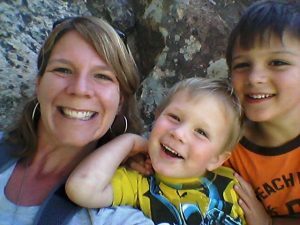 With my mother’s death and my boys growing up, I’d like to believe that impermanence does not terrify me. I am faking some emotional bravado, trying to convince myself that I am fine with the fact that there will never be enough time. The Buddha teaches, “Even death is not to be feared by one who has lived wisely.” I like that. 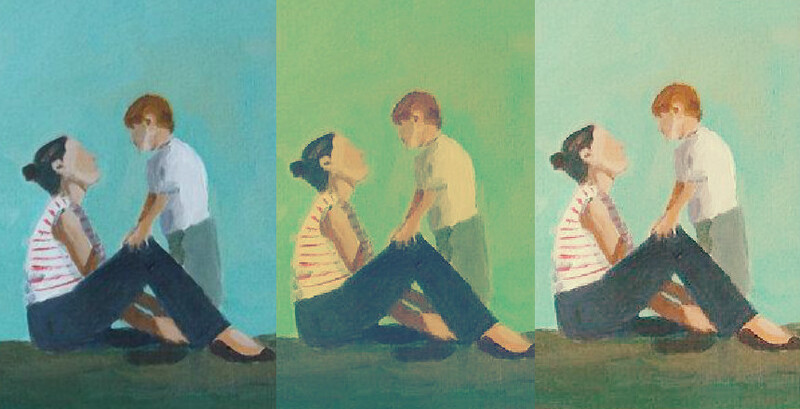 I’d like to stop pretending that I’m okay with being a motherless mother. I want to admit that it hurts my heart to look at pictures of my boys when they were so new, when knowing the softness of their skin and the warmth of their breath on my neck unlocked a mystery I didn’t realize I was trying to solve. My mother is gone and no more babies live in my house. I can mourn those losses, but better yet, I can wear them like a headlamp so that the path ahead is lit, each step forward leaving some darkness behind, but with no way to be sure what lies beyond the edges of the light. Stephanie Noll is a writer and teacher living in Austin, TX. Her work is forthcoming in Precipice Collective, Motherwell, and The Postpartum Years: an Anthology. Also, she directs Old Books for New Teachers, an organization that supports first-year teachers by helping them build classroom libraries.